Customers of Tauranga Centre complete surveys rating our services, cleanliness, professionalism and many other attributes. 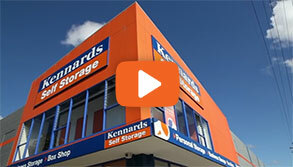 At Kennards Self Storage facility in Tauranga, every single one of our storage spaces is on the ground level. That means no lifts, no stairs, no sweat. In fact, most of our space is accessible directly off the driveway, so you can simply drive your car or truck right up to your self storage unit. Sweet! We have the full range of storage unit sizes available at Tauranga, from dollar-a-day lockers to your own mini warehouse, so no matter what you have to store, you’ll find the storage space that fits your needs and your stuff. The Kennards facility is also the closest centre to the Tauranga CBD, so you get safety, quality and convenience all in one. Living in and around the Bay of Plenty means getting on the water in a boat or out and about in a leisure vehicle to enjoy all the region has to offer. Every Kennards Self Storage facility has one cubic metre storage lockers for rent, perfect for students, someone who moves around a lot, or even the working traveller. Store your personal possessions in one place when lodging in shared accommodation or just can’t sit still. Its easy convenient with no lock in period, no sign up or exit fees and we refund any unused rent paid in advance when you vacate. Many of our lockers are great value starting from just $1 a day. The Port of Tauranga is large international sea port for the freight of goods by container in and out of New Zealand. New Zealand law requires that all goods arriving from overseas are inspected and cleared following strict regulations. Kennards self storage Tauranga is an approved MPI (Ministry for Primary Industries) facility for Containers of imported goods. You can call our facility and speak with one of our Team members to arrange “devanning” of your container at our nearby facility. 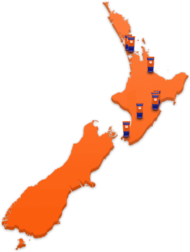 Kennards Self Storage Tauranga is easily accessible for people living in nearby Mount Maunganui, Otumoetai, Matoa, Bellevue, Brookfield, Judea, Bethlehem, Greerton, Parkvale, Poike, Harini, Welcome Bay, Tauriko & Papamoa Beach. Electric fences surrounding the whole Tauranga property which are alarmed and monitored 24hrs a day. 16 C.C.T.V. surveillance cameras throughout the facility recording 24/7. Access to the Tauranga storage centre controlled with PIN code access. Pay by credit card with no additional charges. Not sure how long you’re staying? No problem, we’ll refund all your unused rent if you move out early. Receive a 5% discount if you pay 6 or ­ 12 months in advance. You get to use our Kennards moving trailer absolutely free of charge when moving in. 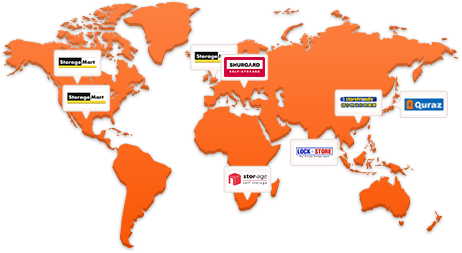 Why choose Kennards Self Storage at Tauranga? We are without a doubt the cleanest and most organised storage facility in the area. 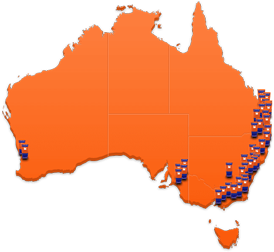 You have access to your storage facility 24hrs a day 7 days a week (subject to availability). Drive up access available to many units. Use our pallet trucks to move your goods for no extra charge. Make use of our free trolleys: flatbed, fridge and mattress while you’re unpacking. We offer affordable insurance for your goods in storage. Use our Internet Hotspot free of charge.